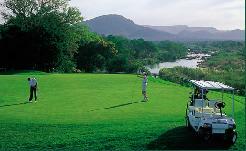 Sabi River Golf Course is situated alongside Nelspruit and White River. 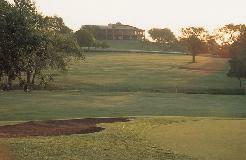 The Sabi River course is one of the few 18 hole layouts in the Mmpumalanga lowveld. Water is a big factor here and is present in the form of a hazard on all but 4 of the 18 holes. The Sabi River, one of the country�s important watercourses, comes into play, as well as a network of dams. No championship layout, it is nevertheless a good holiday course to play. 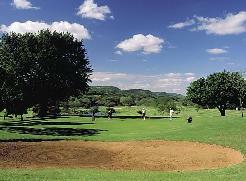 The Sabie River Golf Course was originally built by the local farmers for their own use as a nine hole golf course. In 1992 it was redesigned by Golf Data and is today, what Compleat golfer magazine refers to as 'a user friendly' 18 hole golf course. Trees and water both play important roles as hazards on this course. At least 14 holes have water hazards. There are five dams and they all play a role. This is big game country and a couple of Hippo as well as a crocodile are permanent residents in the course�s main dam, next to the 14th and 15th holes. The 11th (a par 4) has water on the right all the way up the fairway. The 13th (another par 4) requires negotiating the trees to reach a raised green. 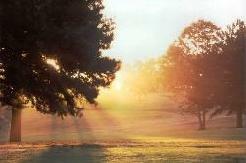 Trees on the 16th make it one to handle with care and skill. 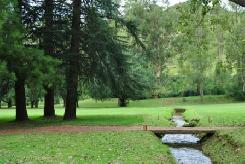 An irrigation system ensures that the kikuyu fairways are well knitted throughout the year. There are bayview grass greens and five dams on the course; water comes into play on 14 holes; silicon sand bunkers guard most of the greens. There are plenty of existing trees, and many more have been planted recently. The rough is short. 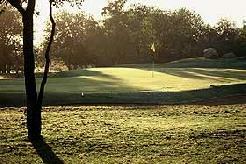 The course is fairly hilly and very scenic which can be made challenging or fairly forgiving by switching tees and pin placements.